As of Thursday, Donald Trump is on his third national security adviser. He has ousted Lt. Gen. H.R. McMaster and replaced him with former American Ambassador to the United Nations John R. Bolton, a known warmonger and Fox News contributor. As the New York Times reports, McMaster—who never had a good relationship with Trump—was meant to stabilize our foreign policy operation. 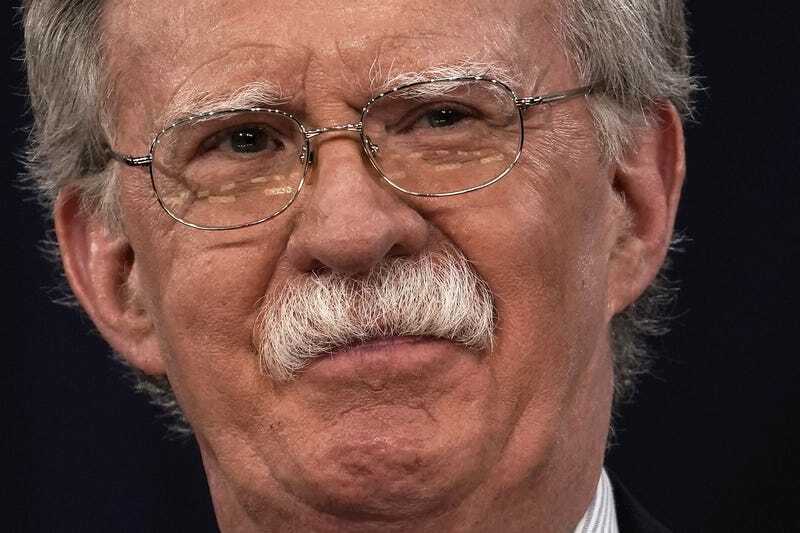 The installation of Bolton in his stead indicates a shift to a more confrontational approach in American foreign policy. Bolton has previously called for the U.S. to take action against both Iran and North Korea, countries that continue to be a challenge for Trump. Trump announced Bolton’s appointment via Twitter, and Bolton—who was appearing on Fox News—seemed to be surprised that the announcement had been made so soon. Bolton will take office on April 9. McMaster will retire from the military. Democrats were not happy with the appointment. California’s Adam Schiff, the ranking Democrat on the House Intelligence Committee, took to Twitter to express his disappointment with Bolton being named to the position. And that is a very valid concern. We all know that all Trump has been looking for is a yes-man who is going to go along with his crazy, paranoid and egotistical line of thinking. He has that in John Bolton. We are probably going to war.